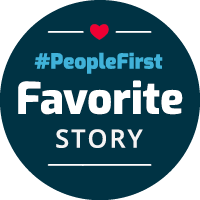 For Todd Olson, a credit analyst at Choice Financial in Grand Forks, road trips are part of the job. Once or twice a month, he makes the three-and-a-half hour trek from Grand Forks to Medina, to consult with their loan officer. But sometimes, he throws in a few other surprises as well. Medina, with a population of about 300, is one of the smaller Choice Financial locations. Karen Schlecht works there as a frontline specialist with two other women. They keep pretty busy, and sometimes that means they don’t have time for other office maintenance. For example, the team had a new photo of Choice’s board of directors they wanted to hang. The nail was in the wall, but for months, the picture was propped up below it, just waiting to be framed. “It isn’t as easy as it is in bigger towns to run and get a picture frame,” Karen explained. Todd knew all of this as he prepared to visit. He knew that the Medina team needed a few things here and there. He understood, too, the limitations of living in a small town. He went to college in the little town of Mayville, North Dakota, and remembers how much time it took to check off the to-do list. “It’s often hard to do work and run errands,” he said. So for the team in Medina, Todd makes it his personal mission to take care of the to-dos — and then some. 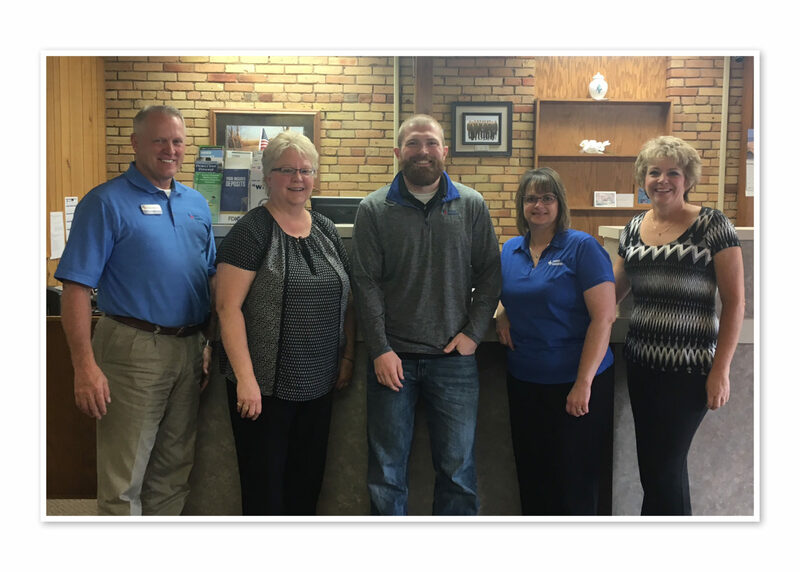 On his way there, he stopped at Brown & Saenger, an office supply store in Jamestown, to exchange an item for the Medina team and pick up a few other supplies for their office. He stopped at a cafe for coffee and a blueberry muffin, and grabbed a few more as well. “I figured I wanted a muffin, so maybe they would too,” he said with a laugh. As he was nearly outside of the city, a light bulb went off. He swung into a nearby Wal-Mart and picked up the long-awaited picture frame. When he arrived in Medina, treats in tow, Todd got right to work. He did his work with the loan team, and then helped out as much as he could with everything else. He took out the trash. He helped customers with a cash exchange when it was particularly busy, all the while smiling and cracking jokes that got the whole team laughing. “Todd is truly a breath of fresh air,” Karen continued. The team always looks forward to his visits. Smile, Be Helpful, and Be Passionate. That’s a Choice core value that Todd lives out in the way he supports his team. 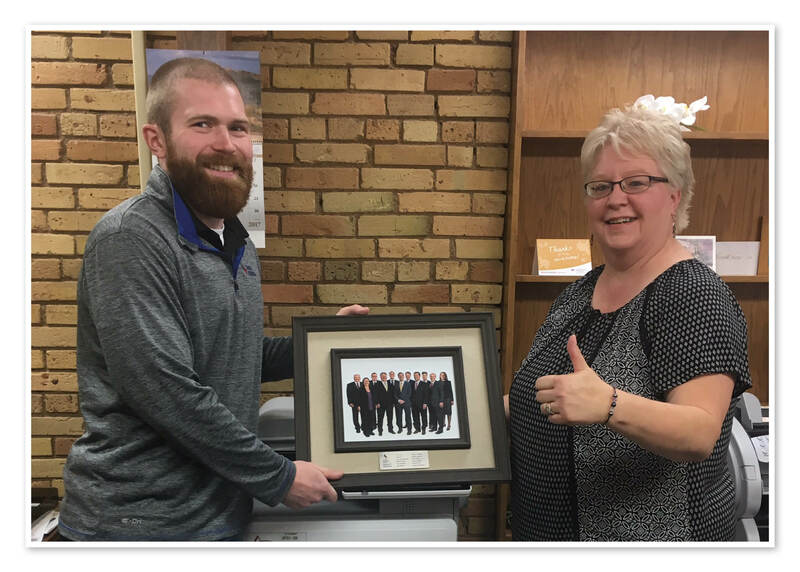 By the time Todd left for Grand Forks, the Medina team had their errands taken care of, muffins and coffee for breakfast, and yes, the picture was now framed and hung in its rightful place. Who You Gonna Call?…Call Michael!